Bob the Birder: Answers on a postcard, please. 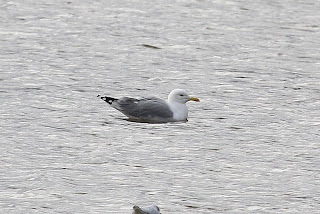 Mystery gull, Stubbers Green, West Mids. Disappointing day at Stubbers Green, West Mids. 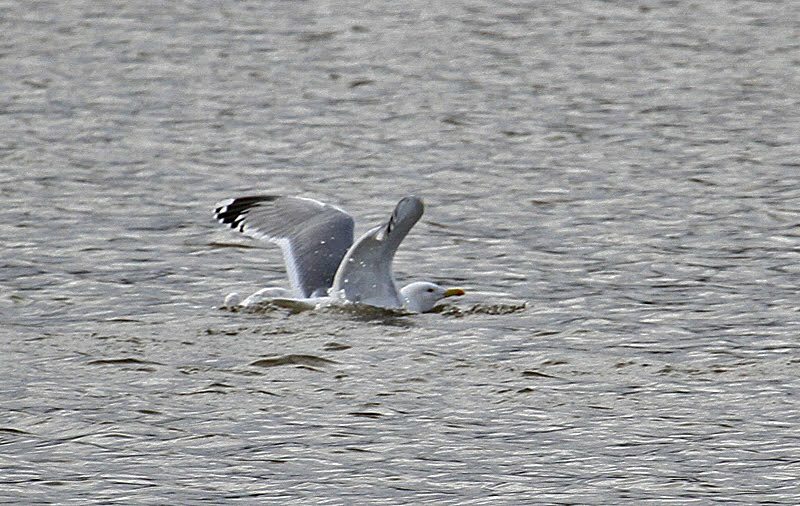 Very few large gulls came down on the pool in the time I was there. Large numbers of gulls did circle over the old pit but only a few found their way to the pool. 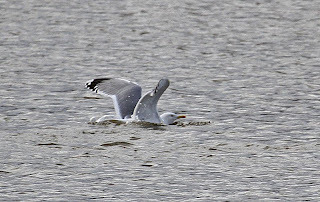 An Iceland gull was seen distantly in flight but that was it. A candidate for adult Caspian Gull was seen and discussed at length but although it showed a number of characteristics of Caspian, no one was very confident about its ID. Pretty exciting potential spot. I have a hard time with Seagulls. Some look too much alike to distinguish apart.